These are the ongoing operational needs for the Phoenix Rescue Mission. Thank you for thinking of the us when donating your new or gently used items listed below. Do you or your group want to hold a drive for something on this list? To get started please fill out the form or contact Catie Hammann at chammann@phoenixrescuemission.org or 602-346-3347. 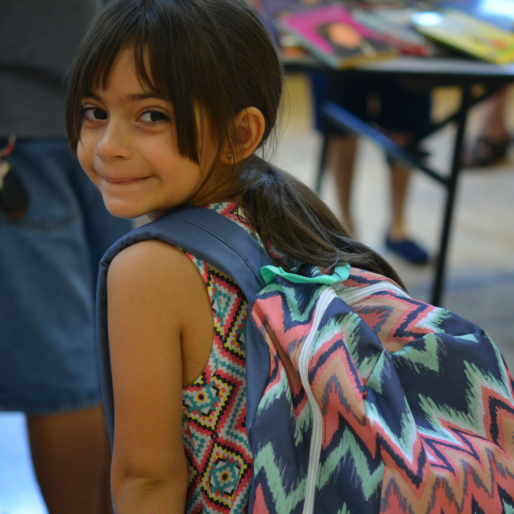 Every year at the Phoenix Rescue Mission, we host five major events to serve the low-income, working poor, and homeless in our community. For each one of these special events, there are specific items that we rely on to serve those in need. We simply could not serve our neighbors without donations, and we certainly could not do the work we do without your help! Please consider holding a drive for the next event, and be a part of the life-transformation. If we can get a head start, we will be able to provide to many more families. Fill-A-Bags (250) - to see a full list of Fill-A-Bag items, click here. Efforts are made to provide high-quality food service standards and achieve consistency in our meals that go above and beyond, with the balance of nutrition in mind for our guests and clients. 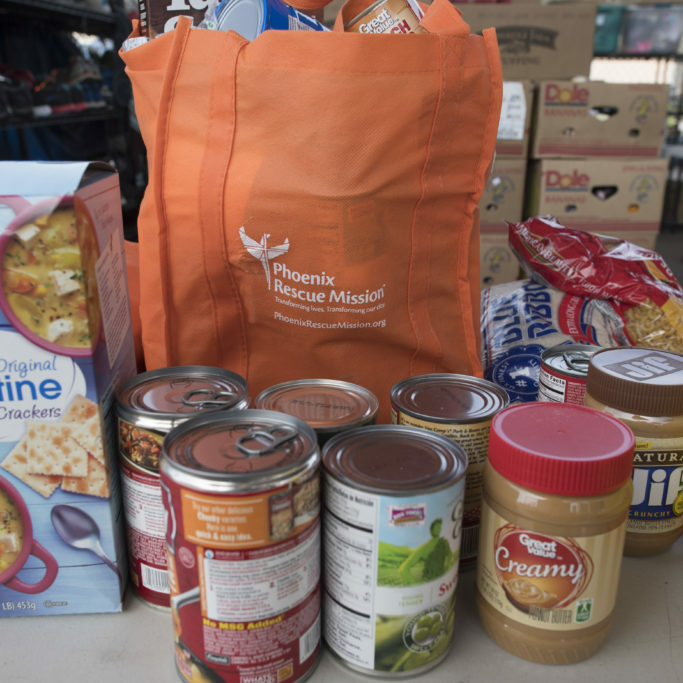 Thank you for keeping this in mind when donating food items to the Phoenix Rescue Mission. If you would like to hold a Fill-a-Bag or canned food drive please fill out the drive form above and Catie Hammann will contact you! *We ask that all fresh meat products come with a receipt with the date of purchase. If you have any questions, please contact Catie Hammann at 602-346-3347 or chammann@phoenixrescuemission.org. NOTE: Please bring any perishable food donations to the Community Services Center, 1801 S. 35th Avenue, Phoenix, AZ 85009.